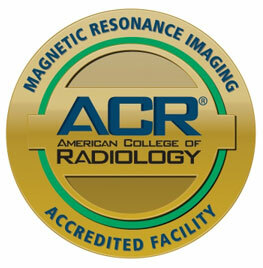 If You’re Looking for the Highest Quality in Diagnostic MRI-Look No Further. 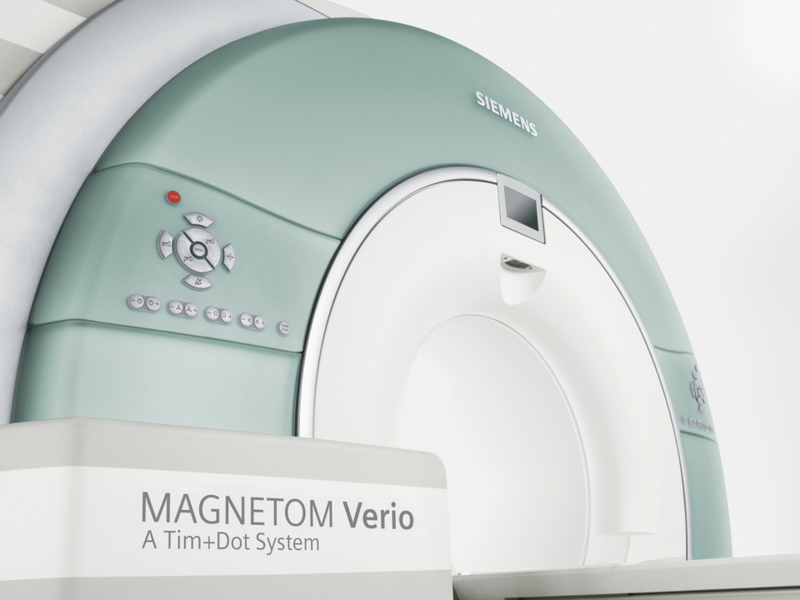 Our Siemens 3T Verio Wide Bore MRI offers a comfortable short and spacious bore that is more tolerable for claustrophobic patients than an Open MRI. Image quality boasts clean lines so the anatomy and pathology that is visualized is optimal for the most accurate radiologist read. Scan time is 15-25 minutes per body part on average which makes it easier to be still for the length of the scan. Our 70 cm Wide Bore allows almost 2 feet of space from patient’s face to bore. An average Open MRI bore resembles a sandwich and doesn’t allow for ample space between the patient and the bore. 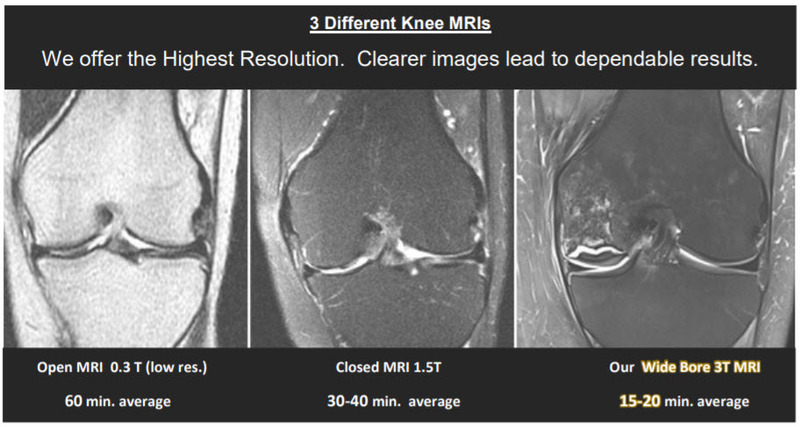 The spatial resolution that an Open MRI offers is incomparable to the clarity that our 3T Wide bore MRI offers. Much like looking through a pair of dirty glasses compared to the lens of your own eye with 20/20 vision. Our scanner can accommodate up to 550 lbs. and we encourage patients to bring a CD of their liking to listen to during their scan. We offer conscious sedation for the most claustrophobic patient or for patients that are unable to lay still for the appropriate scan time. Please be sure to schedule well in advance if you know you will be using these services. If your doctor has ordered an MRI with contrast, please be sure to drink enough water before your scan. This allows for an easier contrast injection. If you are over 60, have diabetes, or kidney disease be sure to get your labs drawn so we can have a GFR before your scan. This is done to find an adequate dose for your scan. We offer Lab services for this draw at our facility for your convenience. Please be sure to wear comfortable clothing with no metal button, zippers, or accessories. All jewelry should be taken off and pockets should be emptied. Be sure to remove all metal accessories from hair including bobby pins. Credit cards, watches, and cell phones will be erased and batteries will die once they enter our MRI room. Keep in mind that an MRI is a magnet- so all metal and ferrous material is restricted. Please arrive 15 minutes before your Scan to check-in with our receptionist. You will be asked for your insurance and ID and be given an MRI screening form to confirm your medical history. If your clothes have metal fasteners or metallic accessories you will be given a gown, scrub pants, and/or a robe to change into. There are lockers provided to secure your belongings during your scan. The technologist will take any information regarding your injury or symptoms you have been experiencing pertaining to the body part to be scanned. You will be asked for your music preference if the scan allows, and will be positioned for your scan. If IV contrast is ordered, the technologist will explain what our protocol is for your scan. You may have the option to listen to music during your scan. If you’d like to bring your own C.D. we encourage that. The technologist will position you according to the scan protocol. Most scans will last 15-20 minutes depending on the body part being scanned. Once your scan is complete the technologist will burn a C.D. of all of your images on a disk for you to take to your doctor. We recommend keeping the disk for your records after the doctor is able to view it. Your final report will take 48 hours to get to your doctor. If your doctor uses our complimentary PACs System he or she should receive the results within 24 hours on average. The only time results may take longer is when outside prior images are required for a complete read. Please let our office know upon scheduling if you have outside priors. If you have an appointment with your doctor the day following your scan please let the technologist know.